ExerGame Lab: Wii Fit(ter) to Music #exergame ? #Exergaming with virtual trainers is a popular segment of the exergame market, and an Italian firm is prepping a UK release of Wii Fit Music to pump you up even more. O2 games will be working on a Kinect and iPad version as well, but no word yet on a release date and if these titles will be brought over to the North America. Since they are using European Fitness Champion Patrizia Salviato as the on-screen virtual trainer, they are probably in the works to get a similar champion or trainer (a la Jillian Michaels). I doubt it'll be her since she has her own line and has done the Biggest Loser titles as well. All the gameplay shows no use of the Wii Balance Board but some of the graphics (see above) do. It'll be hard to do some of the dance moves on the board, and unsafe. It looks to be similar to Dance Central and Just Dance except that you can customize some of the features for a workout according to the beats per minute (BPM) of the song. There are over 200 exercises and 15 fit dance tracks, will there DLC available in the future and how much will packs cost? 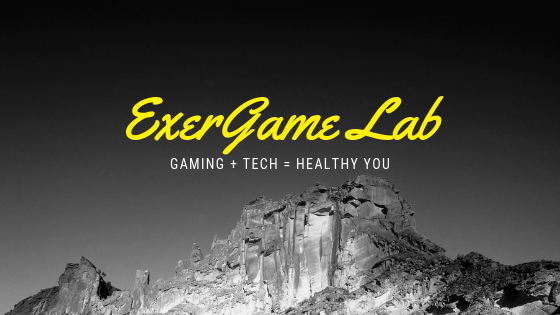 Click here to explore more of ExerGame Lab's archived posts involving virtual trainers..
Less than a month from now we will be in Boston for the Annual Games for Health Conference with lots of incredible speakers and workshops to fill everyone's batteries. 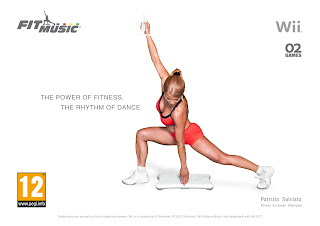 O2 Games announces Fit Music for Wii is coming soon to Europe. Fit Music for Wii TM helps getting a better coordination, striking a balance, accelerating the metabolism and detoxing the body. 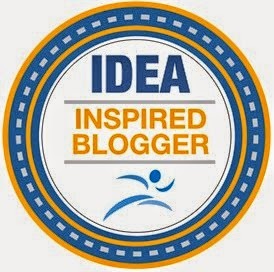 All the muscles work together and get toned thanks to expressly conceived dynamic exercises to the beat of the best techno/house dance music, inspired to the legendary‘80s. In Fit Music for Wii TM there are three different difficulty levels, automatically selected according to everyone’s physical condition. Each level counts 10 exercise cards: nice scores will unlock higher levels and new workout exercises. Fit Music for Wii TM provides a warm-up, a training and a cool-down phase. The section dedicated to the Fit dances makes everyone amuse and test the goals achieved. Coreographies and the power of rhythm change in relation to the beats per minute of each track. There is also a calorie counter minigame, supported by Prof. Antonio Giordano from Human Health Foundation and S.H.R.O. Institute of Philadelphia, PA. Fit Music for Wii TM is easy to play: all users have to do is to follow the on-screen real personal trainer and her motions to achieve even greater results. Up to four players can enjoy it together and dance until gasping for breath. The game is compatible with the Wii Balance Board TM.